Full and Half Day out of Fort Lauderdale Fl. 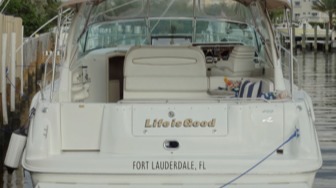 Experiencing Fort Lauderdale from the water will give you a true appreciation for the uniqueness and exclusivity of the city. With more than 165 miles of waterways within the city limits and 7 miles of beaches, exploring from your own personal yacht gives you a perspective only a few truly get to experience. 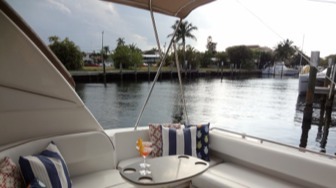 Your itinerary options are expansive and include many waterfront restaurants and bars options, cruising through millionaires row, cruising up the New River where manatee sightings are common, stopping for a swim at a sand bar or going out to sea for a beach cruise to name a few. We are extremely flexible and will do all we can to accommodate your wishes. 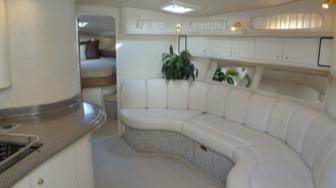 This is YOUR private yacht and without compromise we want it to be “Your Day Your Way”. We hope if you’re planning on chartering a yacht for any occasion in the Fort Lauderdale/Miami area, that you’ll allow us the opportunity to treat you in style.